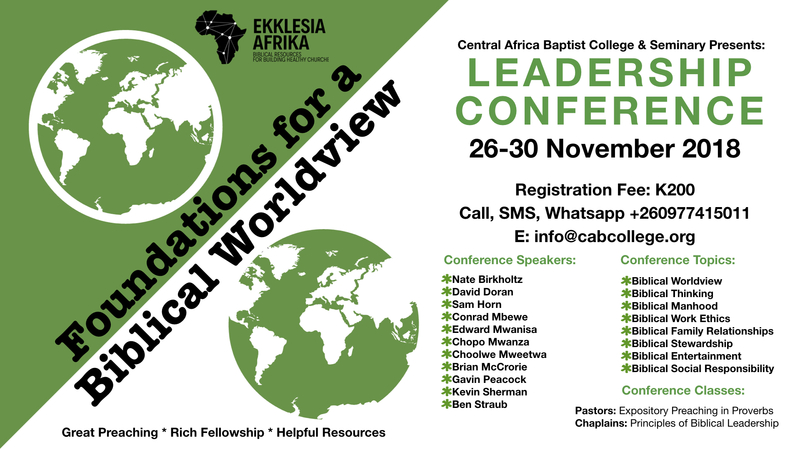 This November we will host our 15th Annual Leadership Conference at Central Africa Baptist College & Seminary. The theme of the conference this year is: Foundations for a Biblical Worldview. Make plans now to attend by texting or emailing your reservation. Space is limited, so register right away. See details below. Every culture provides a filter through which we view the events of the world and bring sense to what goes on around us. This filter is called: Worldview. From the time we are born, we are influenced by ideas. We get these ideas from our parents, family, and friends. We also get ideas from popular culture: music, art, movies, drama. Some of these ideas align with biblical truth, but most do not! As a Christian we are called to love the Lord with all our heart, soul and MIND (Mt.22:37-38)! Every Christian must determine what they will allow to shape their lives by what they allow to shape their thinking: ideas gleaned from culture, or truths learned from God’s word. Our minds must be transformed from our cultural worldview to a biblical worldview. We must put on a biblical worldview and live it out in our families, communities and among the nations. Biblical faith must influence every part of our lives. For many Christians however, biblical faith has little influence in our day to day life and the decisions we make. Our faith may get us to a church on Sunday, but it has very little affect in our homes, at our place of business, or in our relationships. As Christian workers, we seek to understand and obey Paul’s admonition “to demolish arguments and to take every thought captive to the truth of God”. In other words, we are engaged in an aggressive, intentional battle for biblical thinking so that will result in living in a manner pleasing to God. All Christians are called to engage in this fight. Foundations for a Biblical Worldview Conference will investigate foundational truths that shape the way we view life and ministry. 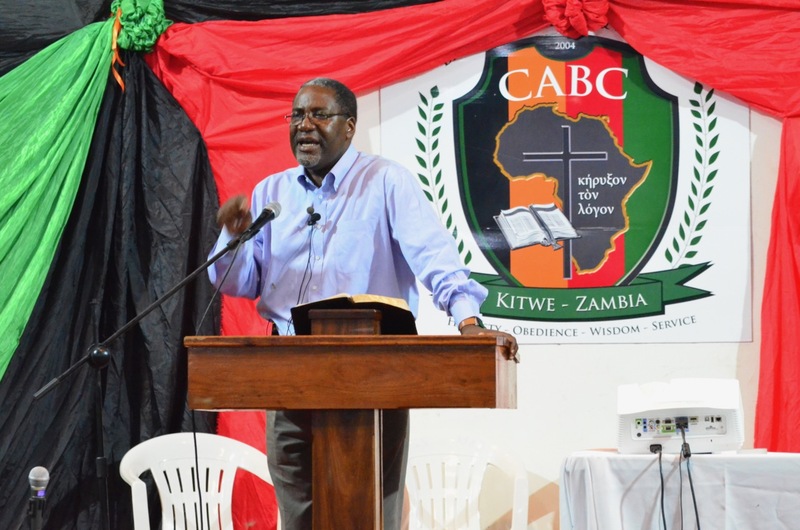 Edward Mwanisa – Pastor Faith Baptist Church, Kakolo, Zambia, Chair of Expository Preaching Central Africa Baptist College & Seminary. Gavin Peacock – Pastor Calvary Grace Church in Calgary, Alberta, Canada. Director of International Outreach, Center for Biblical Manhood and Womanhood. Register now for Leadership Conference! Please do get in touch and register for the conference as space is limited! 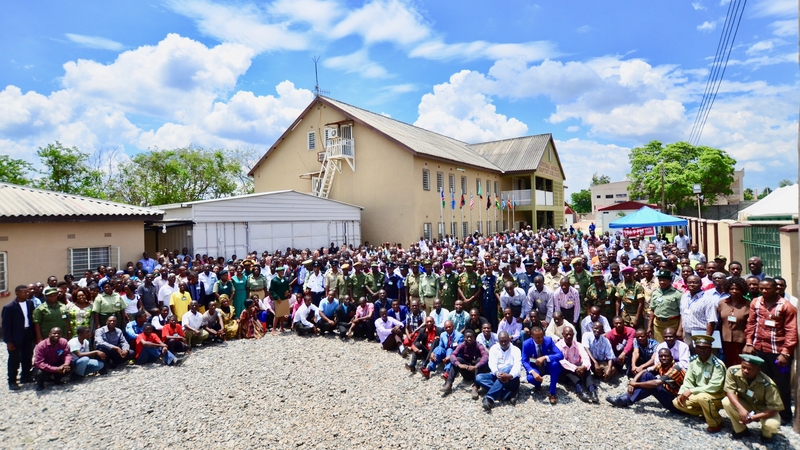 In 2008 Central Africa Baptist College & Seminary moved her fledgling College onto a sliver of land next to Copperbelt University in Riverside Extension. In January of 2011 a letter was written to the late Registrar requesting for CBU to sell Plot 5880 to CABC for the development of our college campus. Again, on November 11, 2012 a letter was delivered to the Vice Chancellor requesting a meeting in regards to the possibility of purchasing Plot 5880. 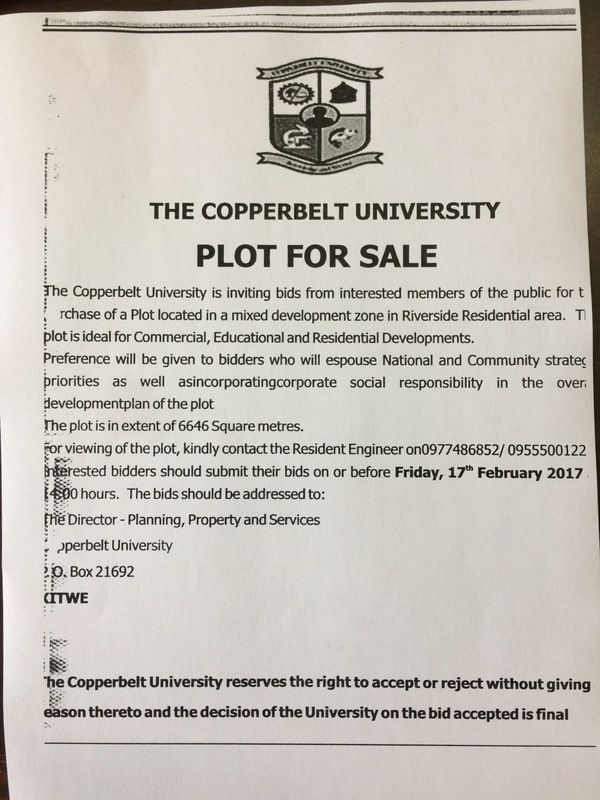 The process of CBU offering the property for sale was long and involving but on February 14th the Copperbelt University advertised Plot 5880 for interested parties to make a bid to purchase the plot! We received the advertisement and prepared this document:CBU Proposal Plot 5880 that outlines our compliance to the very specific criteria of the advertisement and an amount that we would be willing to pay for the property. On Friday February 17th at 15:00 our CABC representative was present for the public opening of the bids for the property. There were five bids received by CBU. 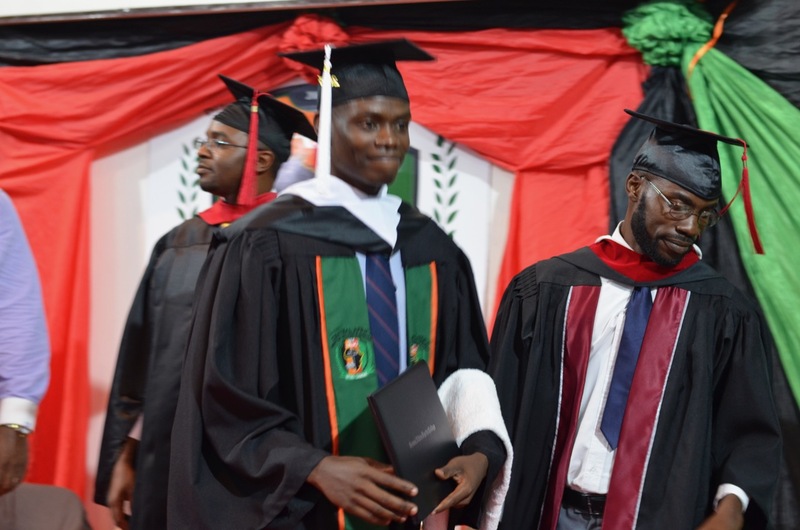 Of the five only two were credible, the bid by Central Africa Baptist College & Seminary and the bid by G&G Bakery. It is interesting to note that we were witness to the fact that both CABC and G&G offered the exact same amount of money for the plot! Of course we were extremely hopeful based upon our meeting the criteria of the advertisement that we would be notified our bid had been selected. On Tuesday, March 28th our President, Philip Hunt met with the CBU Registrar to enquire if the University had reached a decision regarding the sale. He was informed that the CBU Council had decided to offer the property to G&G Bakery. We were informed that we could lodge an appeal if we felt the process was not fair and the information for where that appeal should be sent were provided. 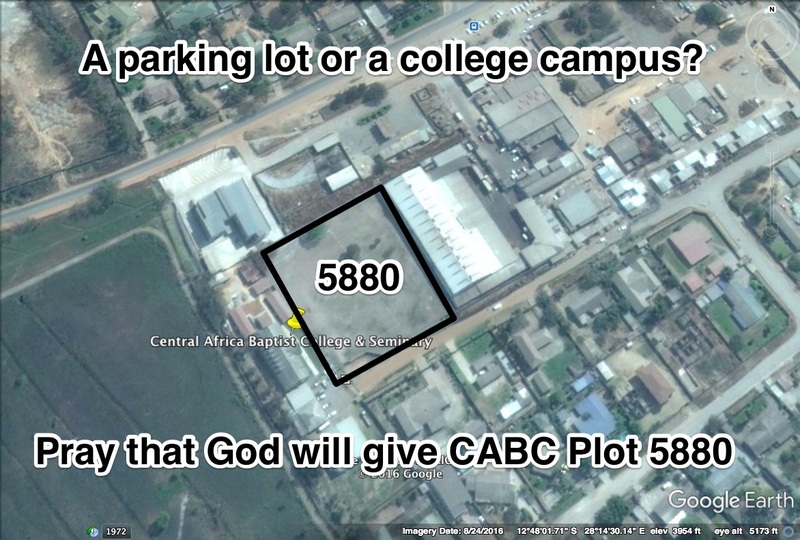 On behalf of the CABC Board of Directors I am writing to lodge an official appeal for CBU to reconsider the application of Central Africa Baptist College & Seminary and accept the bid made by our institution for Plot 5880 in Riverside Extension. Our representatives were present at the public unsealing of the five bids received by Copperbelt University in response to this advert on 17 February 2017. We therefore know that the two parties who offered reasonable bids for plot 5880 were Central Africa Baptist College and G&G Bakery. We further witnessed the fact that G&G Bakery bid the exact same amount of money as did Central Africa Baptist College & Seminary. Based upon the fact that the bids were identical, then certainly the specific terms of the advertisement provide a legal basis upon which to evaluate who should be awarded sale of the property. Your advert said, preference will be given to bidders espousing National and Community strategies. ?It seems reasonable that the National and Community strategies of both bidders would be investigated, evaluated and compared to see who best met that very specific guideline. We appeal your decision to award sale to G&G Bakery because we do not believe that any impartial body could look at the public benefit and good being accomplished by a private, non-profit higher educational institution, and registered Zambia Teachers Training College and determine that a Bakery offers more national and community strategies and priorities. 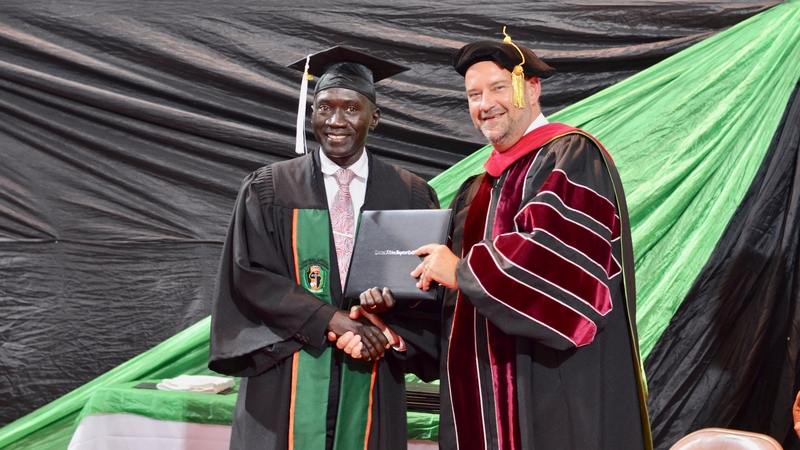 We are a College offering a 4 year degree program for the training & equipping of local Pastors. As a Christian nation, the church is at the grassroots level of providing community services in the form of counseling, orphan care, youth programs etc. 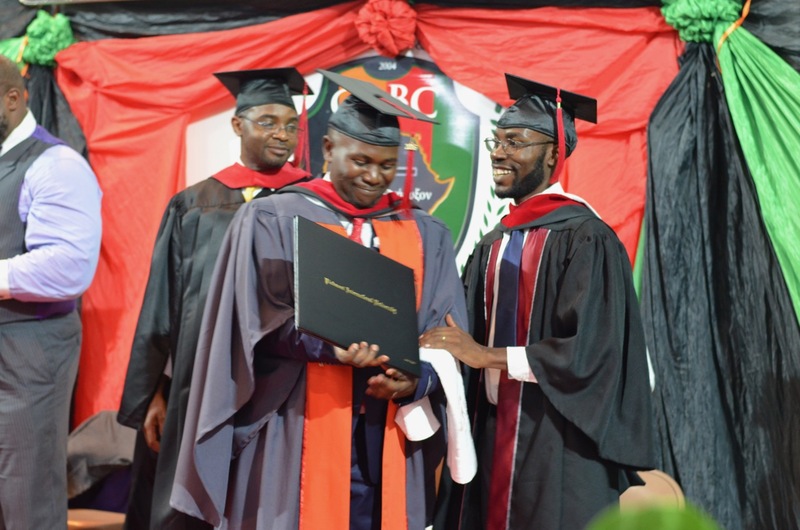 Graduates having learned skills at CABC are serving in Orphanages, Street Kids Homes, pastoring churches, doing mission work, running community based programs. 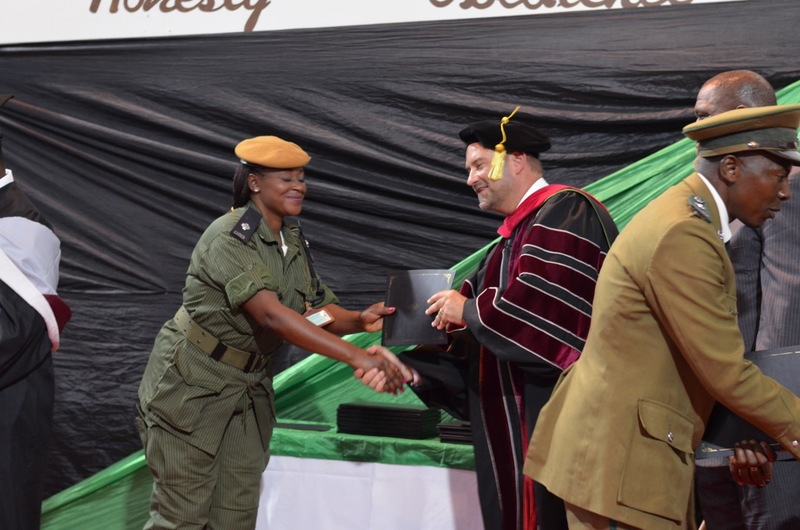 At the very core of our institution is the goal of impacting the community in Kitwe, across Zambia and into the 9 other countries represented by our student body. We are a College offering a 4 year degree with a Chaplaincy emphasis. 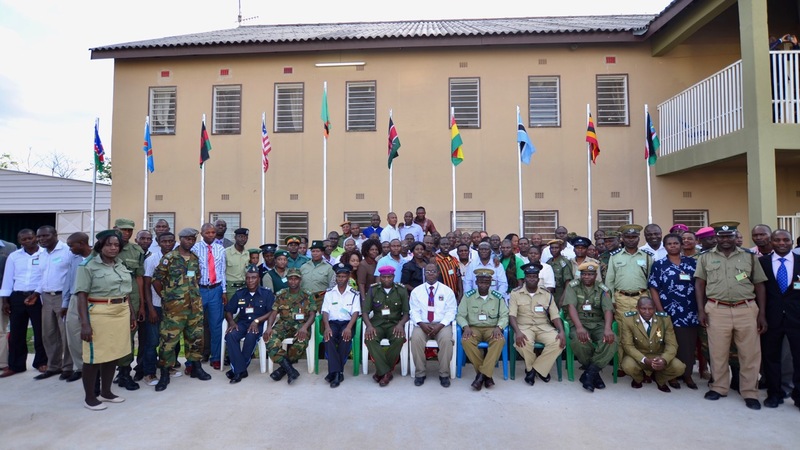 CABC has espoused an National Strategy in cooperation with the Zambia Army, Zambia Air Force, Zambia Police, Zambia National Service and Zambia Prison Service to train and equip Chaplains to serve our nation in this vital role. 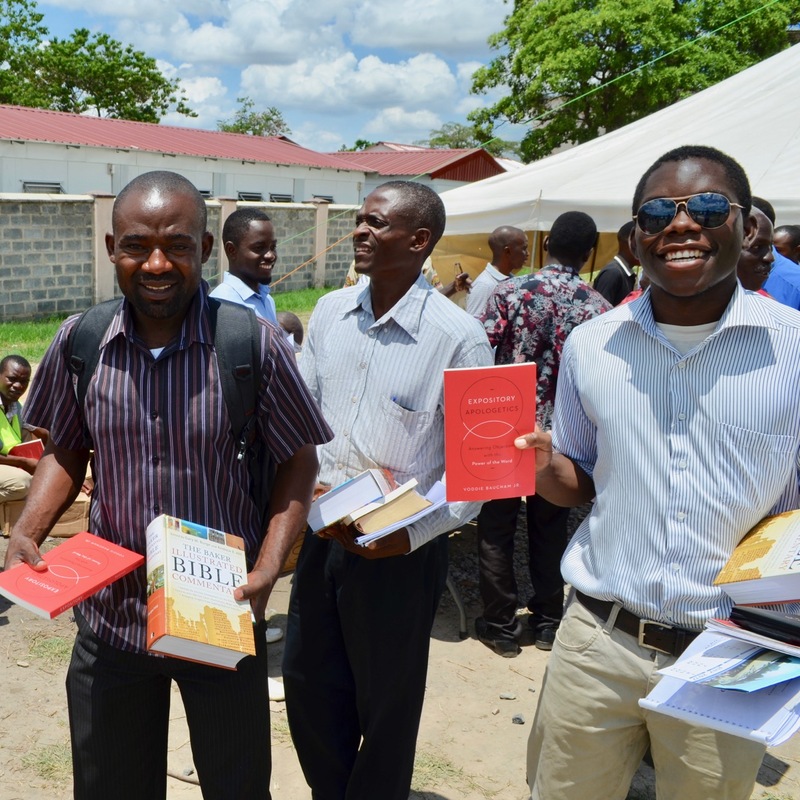 In addition we offer training to all chaplains in the Zambia Services by offering a Chaplaincy Certification Program in which 125 Chaplains from all the branches are enrolled and attend week long classes. We are a College offering a 4 year degree with a Counseling emphasis. 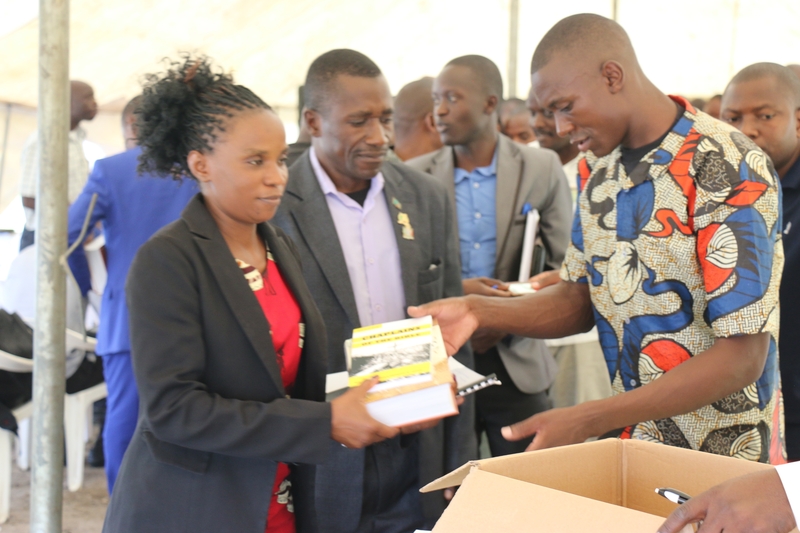 CABC is committed to training counsellors with the ability to minister to the hurting and most vulnerable in society including counseling for HIV/Aids. As a College we are offering block classes where the Deaf Community is invited for training using sign language interpreters. As a College we offer to the community and to our own student Sign Language Training where the hearing are taught to communicate with the deaf in society. We are a Registered Teacher Training College with the Ministry of Education and an approved testing centre, what better commitment to both national and community development than the training of primary school teachers. Our students are organized as volunteers?involved every week in the community through strategic youth outreach, sport events and other community based activities. 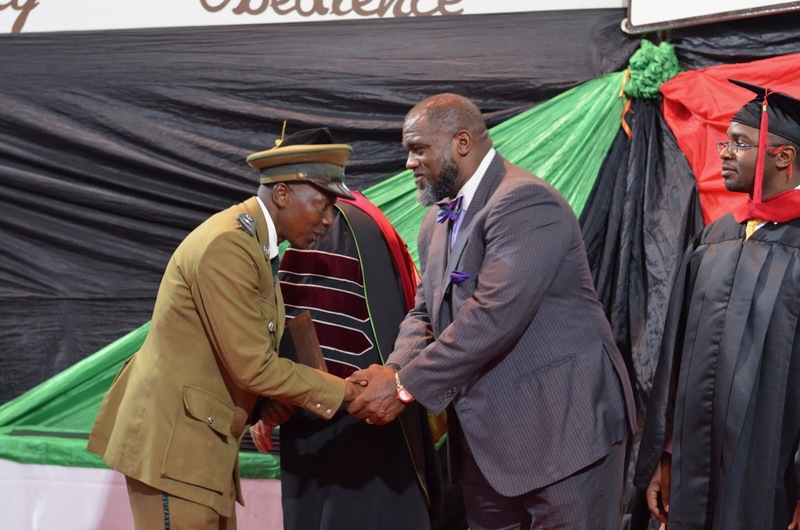 Our development plan is to construct much needed classrooms and a large multi-purpose sports gym & conference centre to meet the needs of our own student body, and also to provide sports to students at Copperbelt University and youth in the community. 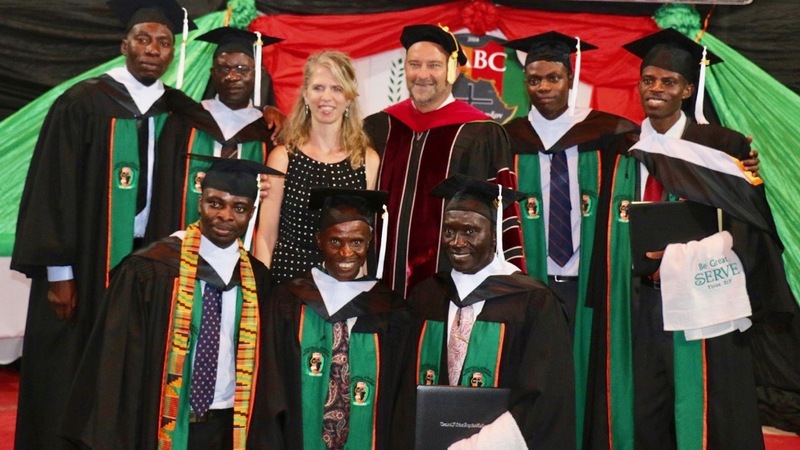 Further, Central Africa Baptist College & Seminary employs 46 men and women. 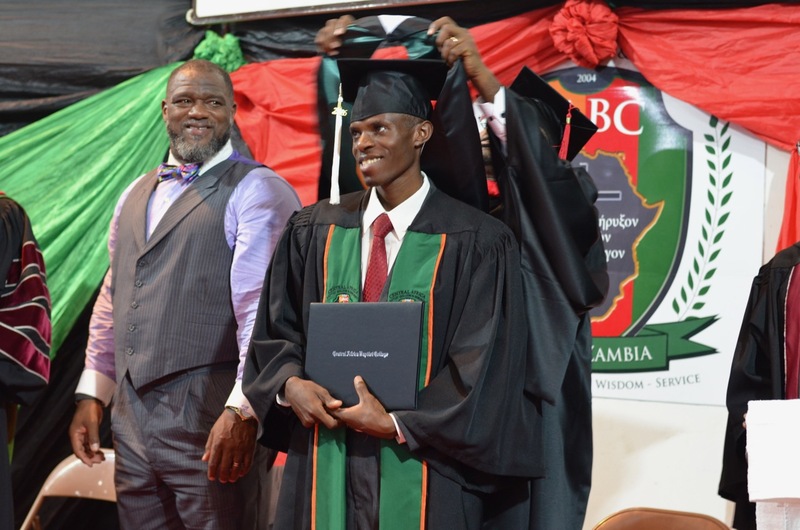 Many of the jobs at CABC?are higher paying skilled jobs that directly impact the Nation of Zambia and is a direct asset to the community. With the property and expansion of our campus we anticipate increasing our employee base by 50% in coming years. 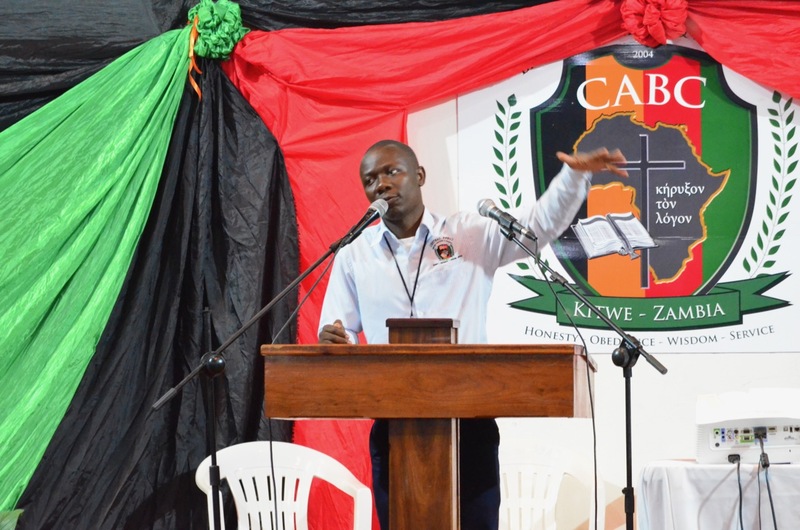 Sir, I would like to meet with you at your earliest convenience to hear from you the CBU Council’s reasons for awarding G&G Bakery Plot 5880 to be used as a parking lot for trucks instead of CABC to be used to further the education and social development of the citizens of Zambia. We further urge you to reconsider the merits of our application based upon the details contained in your advertisement. We believe that an impartial overwhelming case can be made to reverse your decision and award the sale of this property to Central Africa Baptist College & Seminary. So perhaps you can see why we feel that the decision reached by CBU in the selection process is unjust. The future development of our College, Seminary and Teacher’s Training College is hanging in the balance. Our current plot is fully developed with no room for necessary expansion and construction. First of all, please pray each day that God will intervene in this situation and that a favorable decision would be made. Our many friends, alumni, students and the hundreds of pastors who have benefited from CABC can assist by spreading the word about this situation. Forward the details of what has happened, and where you are able appeal on our behalf. 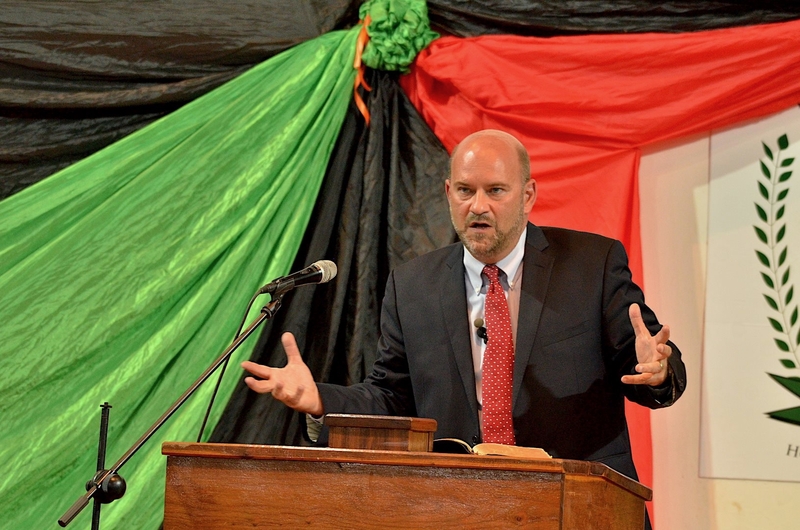 Thank you for your care and concern for the ministry of God here at Central Africa Baptist College & Seminary. Please continue to pray for God’s intervention in this matter. God met with us during LEADERSHIP CONFERENCE. The workshops and sermons were timely, intensely biblical and accompanied by the working of the Holy Spirit in hearts and minds. We had 530 registered participants, a 20% increase from last year! 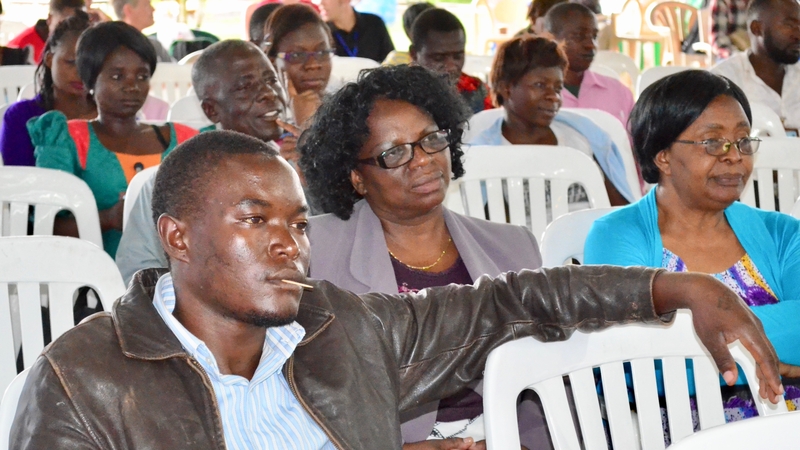 The conference attendees came from across Zambia and also from Kenya, Malawi and the Democratic Republic of Congo. 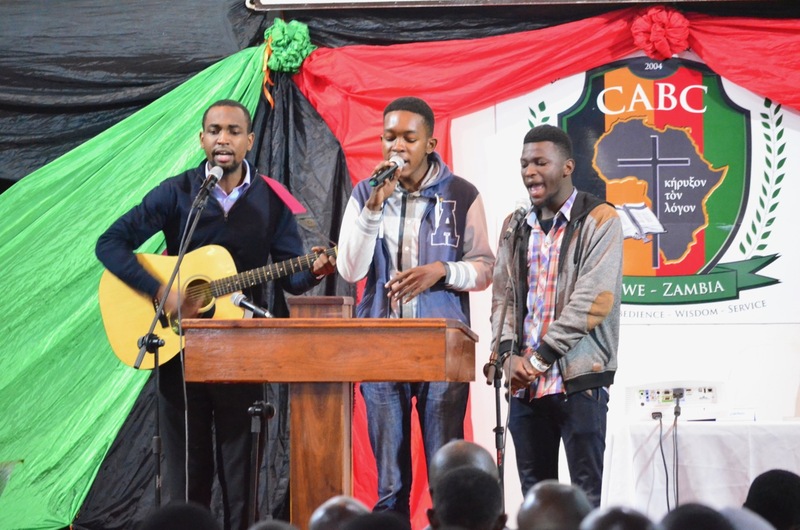 The CABC team rose to the challenge of the unexpected turnout and worked together in humility and with grace. During the week three main sessions ran simultaneously. 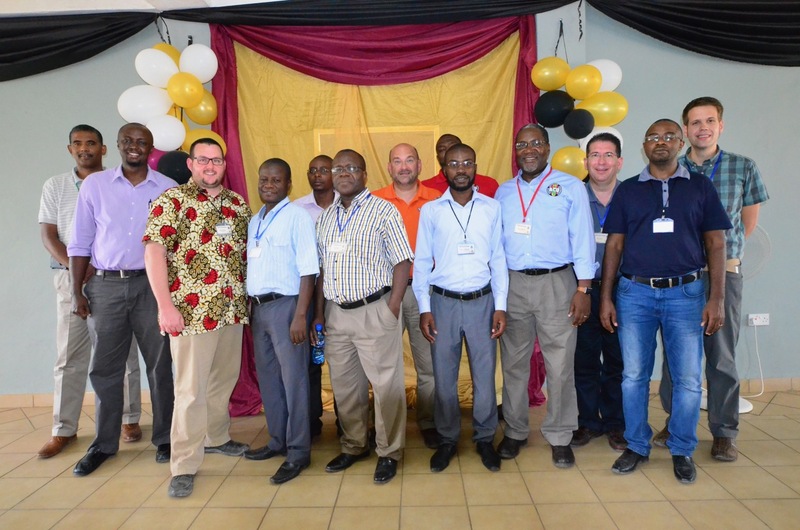 The Church Leaders met together for 23 workshops during the week. A variety of speakers taught throughout the week. 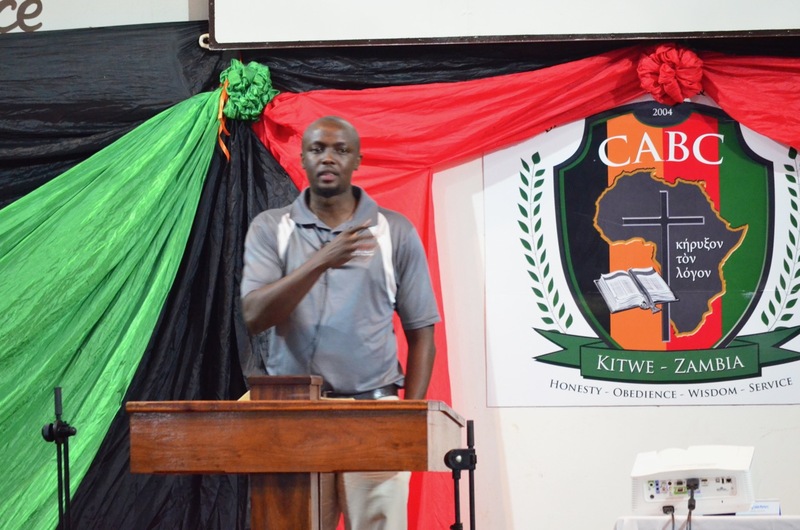 Dr. Voddie Baucham was a keynote teacher and handled sessions on the conference theme: Expository Apologetics. 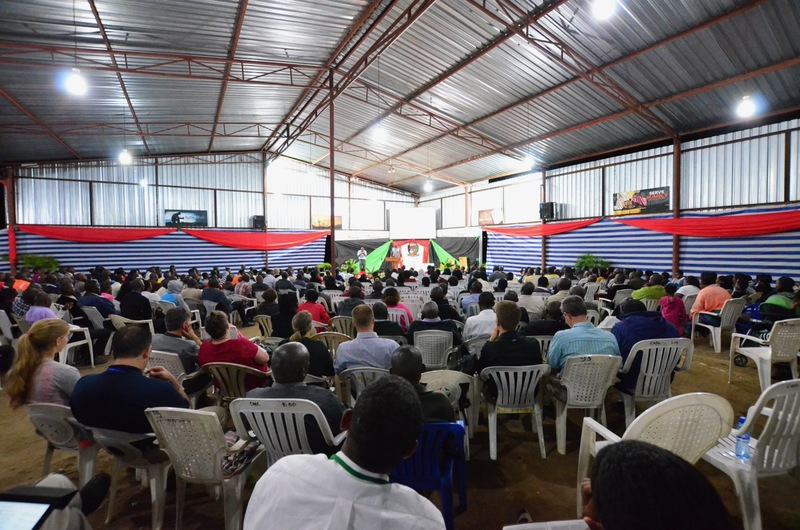 The Pastors (180 of them) gathered for a study entitled Cosmic Conflict taken from Ephesians 6. Dr Sam Horn was the main teacher in this class. 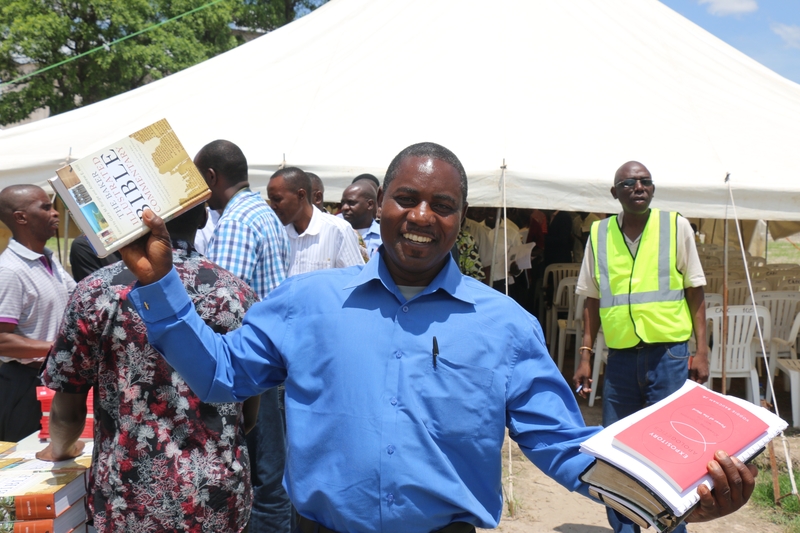 Over 100 Chaplains attended the class Introduction to Chaplaincy taught by CABC Director for Chaplaincy services Pastor Allan Ilunga. 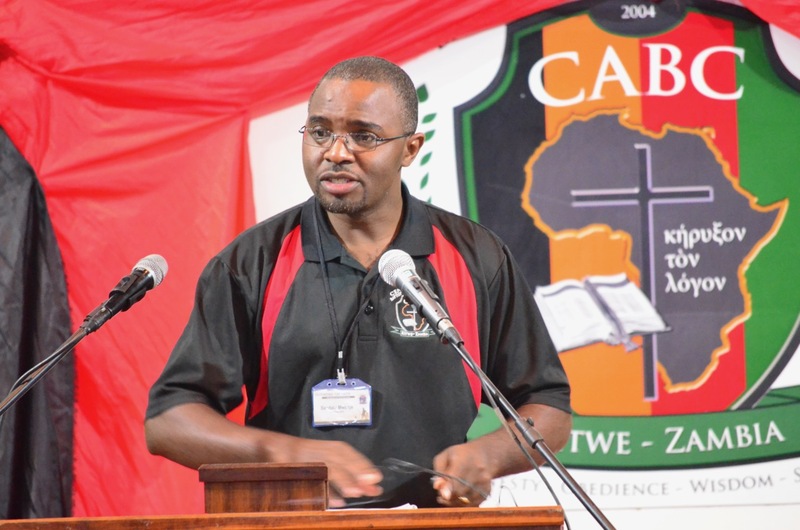 Another of our keynote speakers, Dr Conrad Mbewe spent time teaching the church leaders, pastors and chaplains during the week. Throughout the day the groups would come together for preaching and for fellowship and meals. 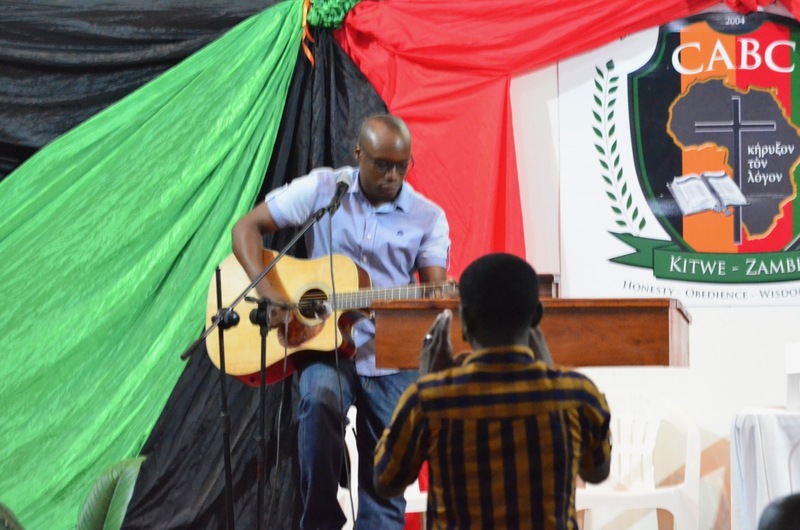 The day concluded with a service that was open to the general public. Monday through Thursday the Word of God was expounded in these evening services. 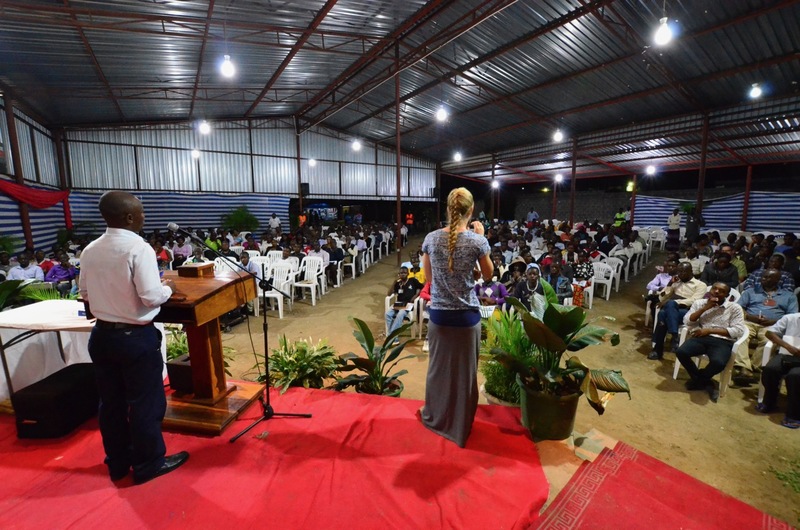 The attendance most nights pushed to nearly 600 people under the conference shelter. 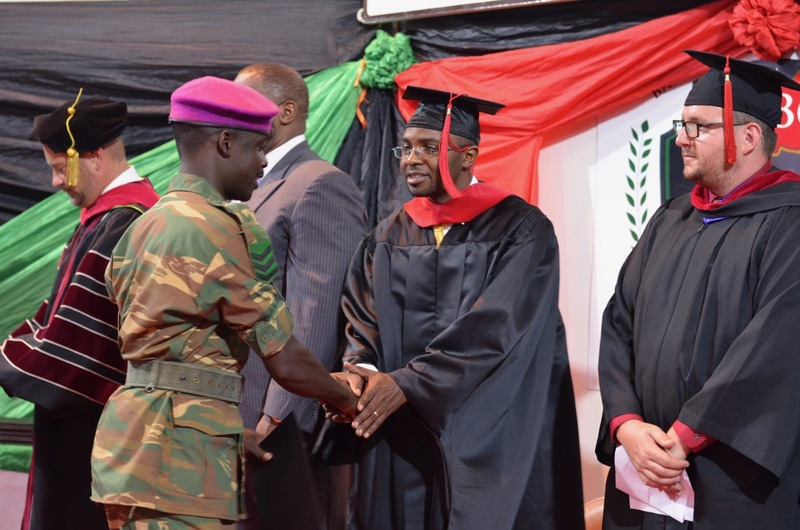 Thursday night the College celebrated the 8th Graduation Ceremony. A total of 12 students received their academic awards. 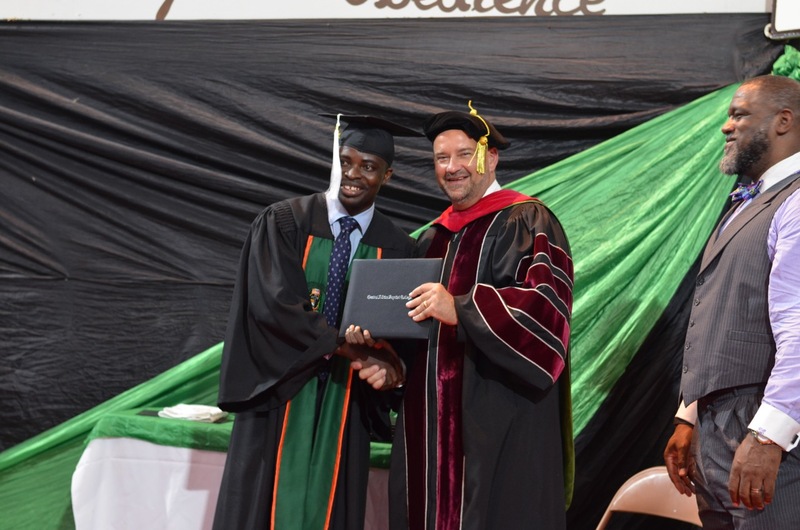 Pastor Voddie Baucham brought a challenging message to the graduates pointing to the supremacy of Christ as the motive for their life work. Eleven Chaplains were awarded their Chaplaincy Certification in acknowledgement of completing the Chaplains training program. 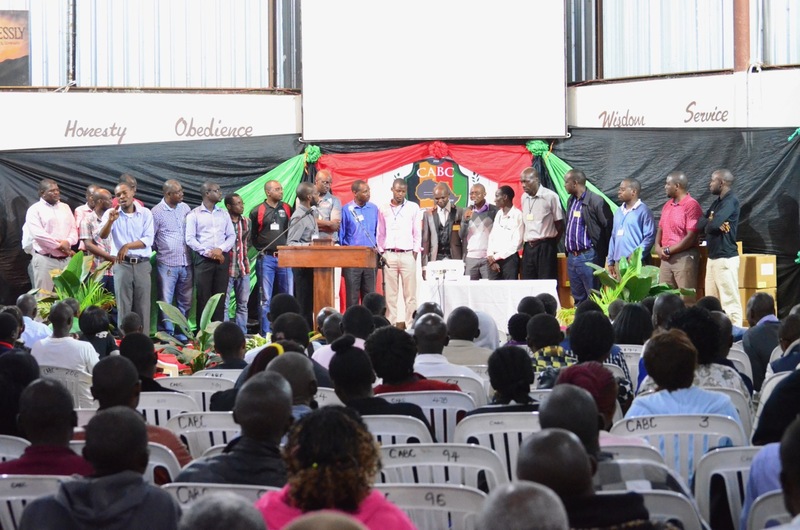 Several pastors were awarded a block class certificate for successfully completing nine classes in block class format here at the college. 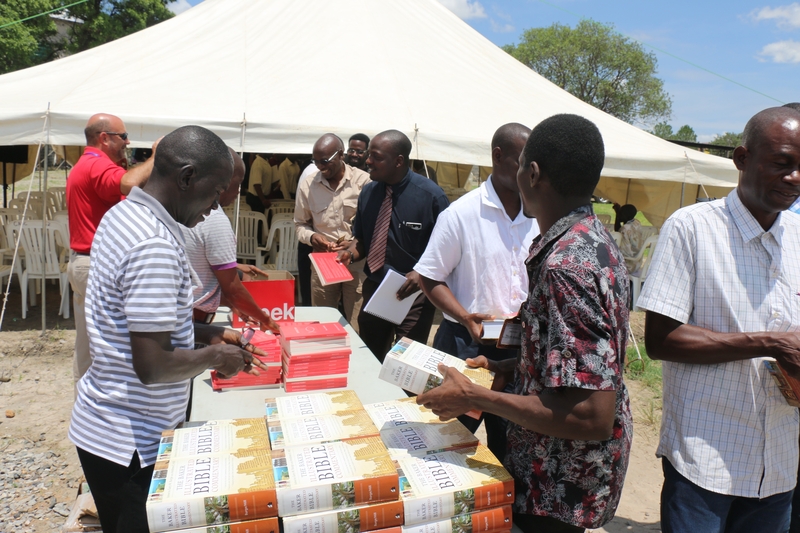 We thank God for the many partnerships that allowed us to put quality theological and ministry resources into the hands of every person who registered and attended this year’s conference. Thank you to Christian Book Distributors, Theological Book Network, Gerald Frye, The Gospel Coalition International Outreach and Leadership Ministries Worldwide! 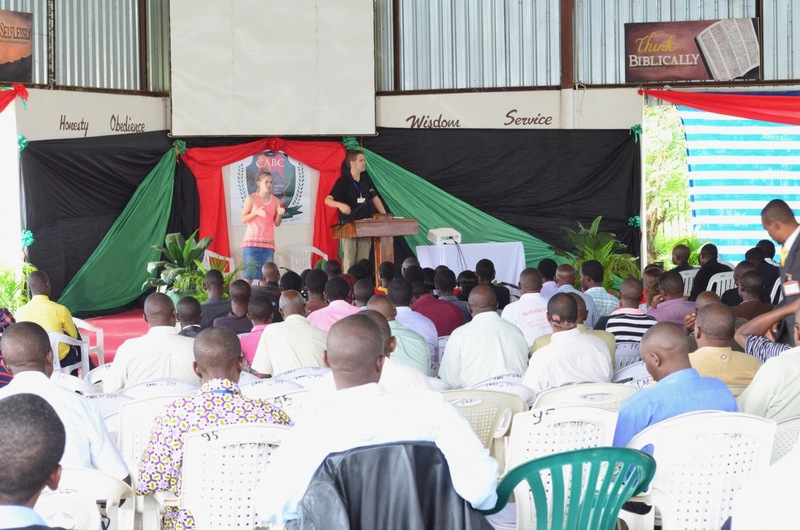 May God bless these partners for their commitment to training and equipping church leaders in Africa! If you missed the blessing this year, please pencil in these dates for the 2017 Leadership Conference: November 27 through December 1. Hope you will make plans now to join us! You are invited to attend the 13th annual Leadership Conference at Central Africa Baptist College & Seminary. The church is on the front lines in the advance of gospel truth. 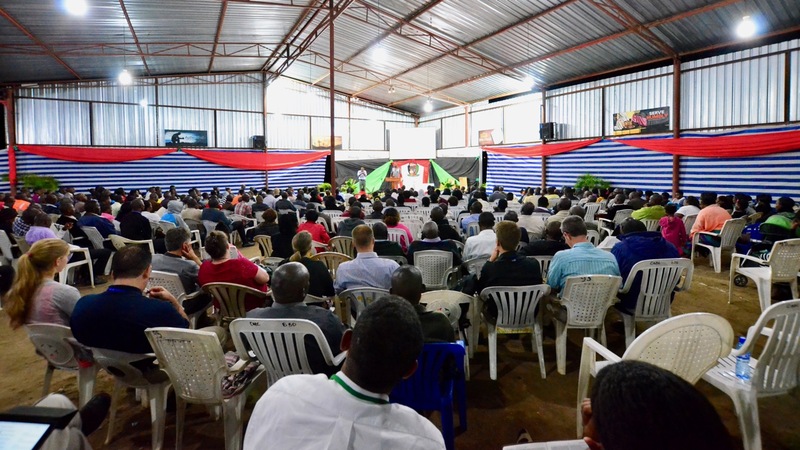 In this Leadership Conference you will be equipped to defend the faith in the face of current challenges facing the Christian and the church in Africa. Leadership Conference is for every Christian who longs to grow in their faith and be equipped to serve Christ are invited to attend workshops and sessions on the theme: DEFENDING THE FAITH: Apologetics On The Front Line. 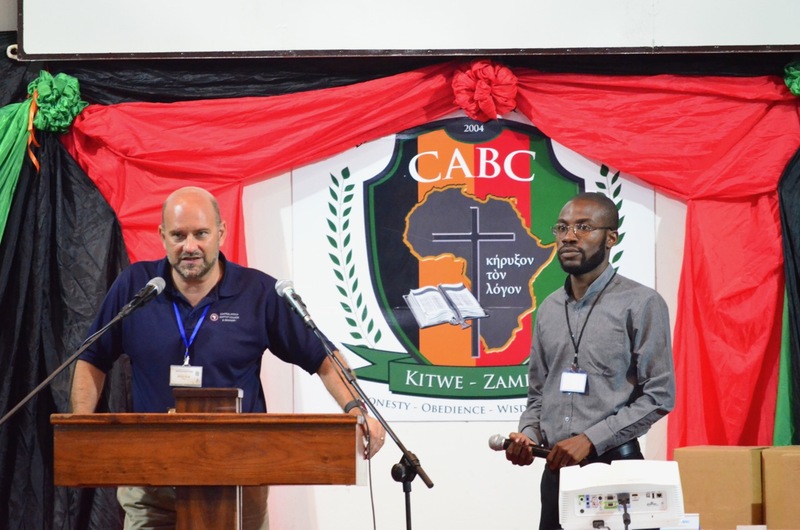 Dr. Voddie Baucham, Dr. Conrad Mbewe, Pastor Ken Mbugua, Dr Sam Horn, Pastor Dave Marriott will join the CABC Faculty in offering 17 different sessions during the week. On Wednesday afternoon, we will conduct a Christian Business Forum where we will deal with issues of Christianity and business. We invite large and small businesses to send their executives, management and employees; even if they are unable to attend the conference the rest of the week. Speakers for the afternoon is Mr. Roland Thompson, a successful Christian businessman from the USA and Mr. Bernard Chiwala, former CEO of Nkana Water & ?former Director 0f?the Zambia Roads Department. Pastors are invited to attend the Expository Preaching Block class entitled: COSMIC CONFLICT: The Believers Spiritual Armor. Dr. Sam Horn will be our lecturer for this class, Dr Conrad Mbewe will be teaching as well. Chaplains are invited to attend the class entitled: Introduction to Chaplaincy. This class will be taught by former US Navy Chaplain, Mr. Allan Ilunga. Here are the conference details! DATE: 28 Nov. 2 Dec. 2016 Registration begins at noon on the 28th. Payment can be made via Airtel Mobil Money, send payment to +260977415011. You may?also make payment by bank deposit the funds into our account: Please then send us a copy of the deposit slip. OUT OF TOWN GUESTS: Lodging is provided free of charge to out of town guests as space allows. Boarders must bring their own bedding & toiletries. We cannot accommodate couples staying together and strictly no boarding children this includes infants. *Churches pre-registering 15 or more people will be offered a discount. Pre-payment required. Contact the college office for more details. On Wednesday afternoon, we will conduct a Christian Business Forum where we will deal with issues of Christianity and business. We invite large and small businesses to send their executives, management and employees; even if they are unable to attend the conference the rest of the week. One of our speakers for the afternoon is Mr. Roland Thompson, a successful Christian businessman from the USA. Pastors are invited to attend the Expository Preaching Block class entitled: COSMIC CONFLICT: The Believer’s Spiritual Armor. Dr. Sam Horn will be our teacher for this class, and Dr Conrad Mbewe will be teaching several sessions. Chaplains are invited to attend the class entitled: Introduction to Chaplaincy. This class will be taught by former US Navy Chaplain, Allan Ilunga. DATE: 28 Nov. – 2 Dec. 2016 Registration begins at noon on the 28th.